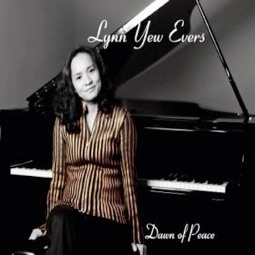 Dawn of Peace is the second solo piano release by Lynn Yew Evers, and what a beauty it is! 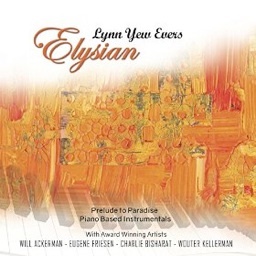 Produced by Will Ackerman at his Imaginary Road Studios, this is a rare Ackerman production in that it is entirely solo piano. Evers’ elegant, graceful compositions and playing style need absolutely no accompaniment or embellishment. Evers began performing on the piano when she was six years old in her native Malaysia, and is a graduate of Trinity College of Music in London. She has performed by invitation for the King and Queen of Malaysia as well as the Prime Minister and other dignitaries. She brings vast and varied experience in composing, performing, arranging, and teaching to her original music and plays with the effortless grace of an artist who feels the most at home with a piano keyboard at her fingertips. The music on Dawn of Peace is not particularly flashy or complex and Evers uses her very impressive chops to tell stories and express sincere and deeply-felt emotions rather than to dazzle. Her classical roots are apparent, but this is very accessible music that will communicate to listeners of all ages and levels of musical experience. 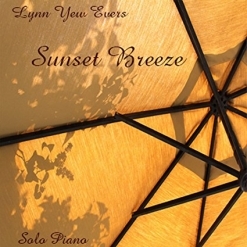 Dawn of Peace begins with “Yew and I,” a beautifully expressive ballad that sets the tone of the album. It gently and tenderly seduces the senses and draws you in to discover what this lovely music is all about. “Lyrical Mood” evokes images of a solo dancer, gracefully moving to music only she can hear and expressing emotions from deep within. “A Dying Art” is wistful and dreamy with a hint of regret. The title track is absolutely gorgeous. Sometimes very soft and edge-less, sometimes a bit bigger and more passionate, I’m fascinated with Evers’ ability to take a piece in one direction and then suddenly go somewhere unexpected without jarring the listener with the change. The surprises are always pleasant, intriguing, and very natural. “Away From Home” is one of those wonderful pieces that offers a glimpse into the artist’s soul. Gently nostalgic and overflowing with longing and love, I really can’t imagine anyone not being moved by this piece. “Shade of A Torn Daffodil” goes somewhat darker and more mysterious. If I had to choose one favorite of the eleven remarkable tracks, I think it would be this one. As tired as I’m getting of the non-stop spring rain here on the Oregon Coast, I love the delicate peacefulness of “Rain of Spring.” “A Fleeting Moment” takes this outstanding album to its ending with a warm and heartfelt ballad that leaves you feeling refreshed and renewed. I think we have a new star in the making here! Dawn of Peace is exceptional from start to finish, and I give it my highest recommendation. 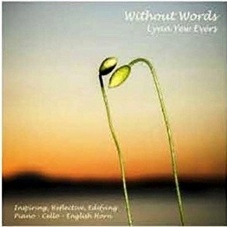 It is available from www.lynnyewevers.com, Amazon, iTunes, and CD Baby.